Georgia Regents University’s Department of Chemistry and Physics has launched its new Medicinal Chemistry major giving students a chance to partake in the innovative research of drug discovery. Students will have an opportunity to learn more about this new program during the department’s Medicinal Chemistry Information session being held Friday, Feb. 6, at 1 p.m. in Science Hall, room W-1008. 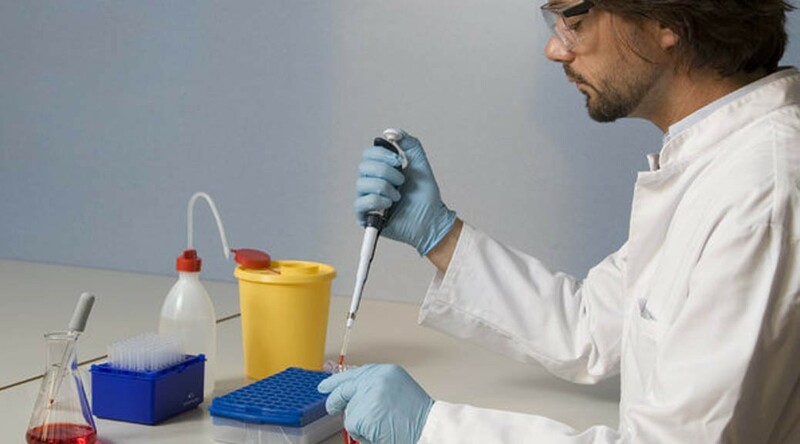 During this session, attendees will learn how this new concentration offers students a chance to study and conduct research in areas such as drug design, mechanism of action of drugs, and modern methods of synthesis. 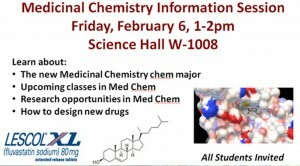 For more information about the information session and the Medicinal Chemistry major, click here or call 706-737-1541.